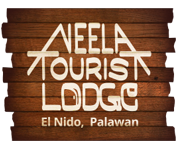 Ready to begin your El Nido Experience Contact Us! For online reservation, 50% is required to finalize the booking. Remaining balance shall be paid upon arrival. For walk-in, full payment required. Cancellation atleast eight (8) days prior to arrival will incur 25% charge of total bill. Cancellation less than seven (7) days prior to arrival will incur 50% charge of total bill.